I have been meaning to pull together an updated list of “Top Picks” for a couple of months. Somehow I could never find the time. But with about 290 posts (most of which are longer essays) there is a lot of material sitting in the archives here at Kung Fu Tea. Enough that figuring out what to read, or finding what you may have missed, can be a challenge. To make this easier I have used two different methods to come up with some suggested readings. For a first cut at the problem we turn to the “wisdom of crowds.” By looking at long-term trends in page views we may get a rough estimate of what other readers find interesting. This section has been labeled “Reader’s Picks.” The first group lists the five most commonly viewed posts of all time at Kung Fu Tea. Following that there is a more detailed list of the top posts that readers accessed the over the last twelve months. Next I have outlined some of my favorite essays. For easy reading I have broken this list down into different categories. These are “Wing Chun,” “Chinese Martial Studies,” “Visualizing the Martial Art,” “Martial Arts and Popular Culture,” “Martial Arts Studies,” and finally “Traditional Weapons.” Just find the category that best suits your interest and see what you have been missing. Do you have a favorite post which didn’t make the cut? Drop a link in the comments and let us know. Enjoy! Working class patrons of a stall selling sequentially illustrated martial arts novels. 1948 AP photo. 1. Taming the Little Dragon: Symbolic Politics and the Translation of Bruce Lee. 2. Identifying and Collecting the Nepalese Military Kukri. 4. A Social and Visual History of the Hudiedao (Butterfly Sword) in the Southern Chinese Martial Arts. 1.Traditional Training Equipment in the Chinese Martial Arts (Part II): Attack of the Wooden Dummies! 3. Did Ip Man Invent the Story of Yim Wing Chun? 4. The “Wing Chun Rules of Conduct”: Rediscovering Ip Man’s Original Statement on the Philosophy of the Martial Arts. 5. Where have all the martial artists gone? Should we blame MMA? 9. Ip Man and the Prostitute: Female Sexuality as a Weapon in Traditional Chinese Martial Culture. 10. The British Army Kukri: An artifact of western orientalism or the 20th century’s greatest combat knife? 11. Lives of Chinese Martial Artists (8): Gu Ruzhang-Northern Shaolin Master and Southward Bound Tiger. 12. 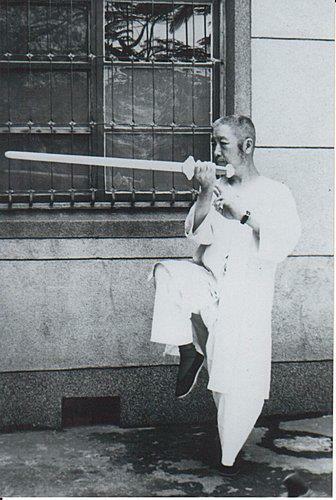 Lives of Chinese Martial Artists (2): Cheung Lai Chuen (Part I). 13. Understanding Opium Use among Southern Chinese Martial Artists, 1890-1949. 14. Lives of Chinese Martial Artists (4): Sun Lutang and the Invention of the “Traditional” Chinese Martial Arts (Part I). 15. Reevaluating Jingwu: Would Bruce Lee have existed without it? 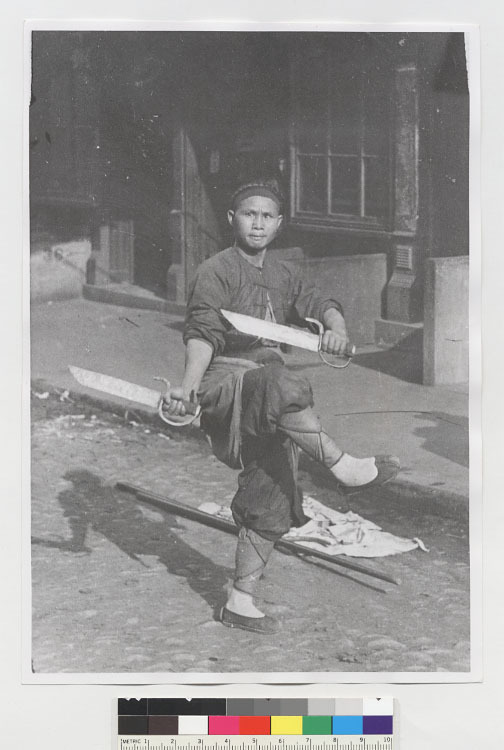 Zheng Manqing with sword, possibly on the campus of Columbia University in New York City. Conceptualizing the Asian Martial Arts: Ancient Origins, Social Institutions and Leung Jan’s Wing Chun. Zhang Songxi, Ming era Southern Boxing and the Ancient Roots of Modern Wing Chun. Through a Lens Darkly (6): China Rediscovers the Shaolin Temple, Igniting a Kung Fu Craze. “Wing Chun: A Documentary” directed by Jon Braeley. Why do difficult and expensive martial arts thrive? 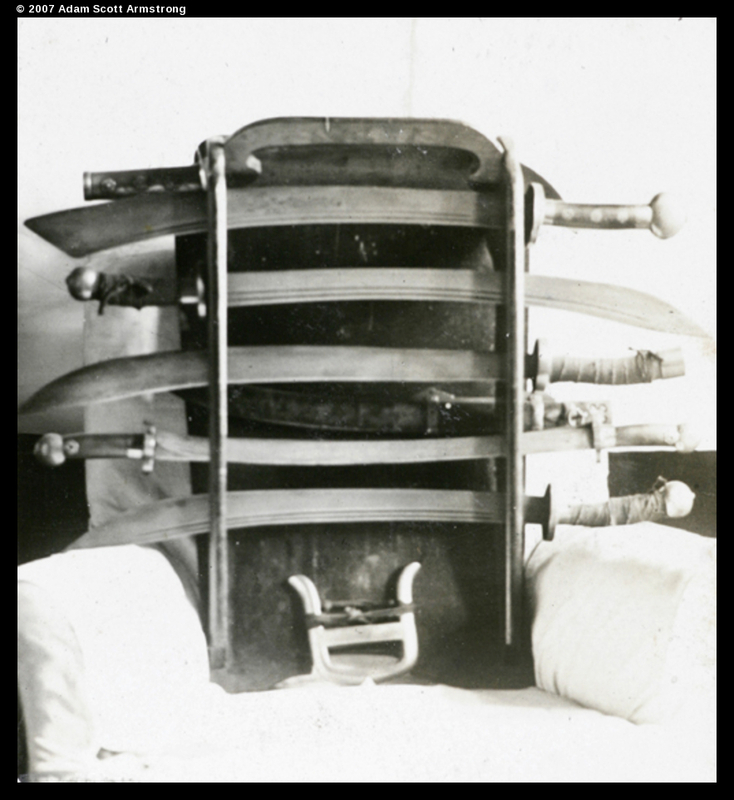 Through a Lens Darkly (9): Swords, Knives and other Traditional Weapons Encountered by the Shanghai Police Department, 1925. Forgetting about the Gun: Firearms and the Development of the Southern Chinese Martial Arts. Confiscated weapons. Shanghai Municipal Police Department, 1925. 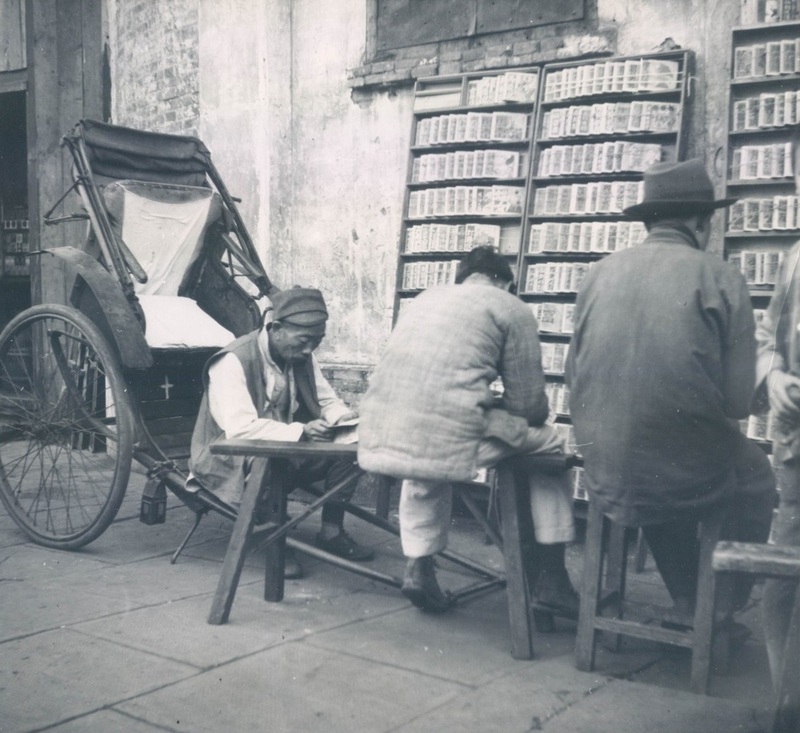 University of Bristol, Historical Photographs of China. The swords catches my attention. I really love it. Thank you for posting.